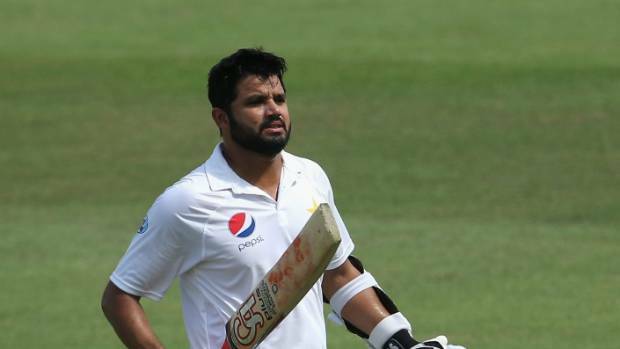 On Thursday, the former Pakistan ODI captain Azhar Ali involved in a bizarre run-out dismissal during the ongoing second and final Test of the series against Australia at Sheikh Zayed Stadium (Abu Dhabi). That incident happened on the day three morning of the ongoing second Test when it was only the sixth over of the day and Azhar Ali was batting on 64 runs. In that Peter Siddle’s over, the right-handed batsman had an edge that past gully and ran towards the boundary but the ball stopped just a few inches before the boundary rope. 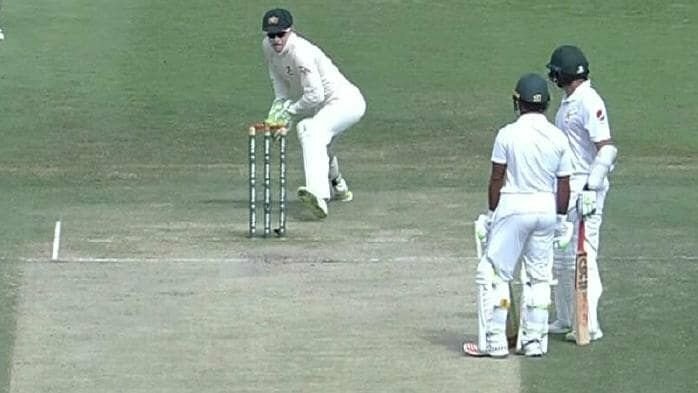 Mitchell Starc ran towards the ball and threw to the captain and wicketkeeper Tim Paine who grabbed that ball and hit the stumps quickly while Azhar Ali and Asad Shafiq both were at the middle on the pitch. After hitting that shot, Ali was confident on that ball to reach the boundary but it didn’t happen. He totally removed his focus from the ball and was busy to talk with his partner Shafiq at the middle on the pitch. When he started to focus on the situation, it was too late for him as Paine did their work calmly. After that incident, while the Australians were celebrating of that wicket, Ali was still in shock. Finally, Ali played a good knock in international cricket as he is not running in a good batting form at the present time. After scoring only 15 runs in the first innings of this Test match, Ali scored 64 off 141 balls with 4 fours. 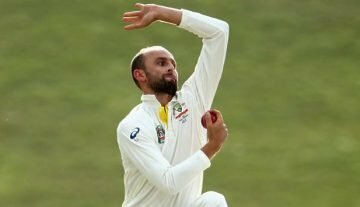 Coming to the Test match, Pakistan is in a great position. With the help of two 94-run knocks from the Test debutant opener Fakhar Zaman and the skipper Sarfraz Ahmed, Pakistan managed to score 282 runs in their first innings, despite their early top-order collapse. In reply, Australia was bundled out for just 145 runs while the right-arm Pakistan pacer Mohammad Abbas claimed a brilliant five-wicket haul (5/33). In the second innings, Pakistan was batting on 350/5 at the tea of the third day of the Test match. Apart from, Ali’s 64 runs, Fakhar scored 66 runs and Babar Azam & the skipper Sarfraz Ahmed were unbeaten on 90 and 60 runs respectively at the end of the second session of day three.